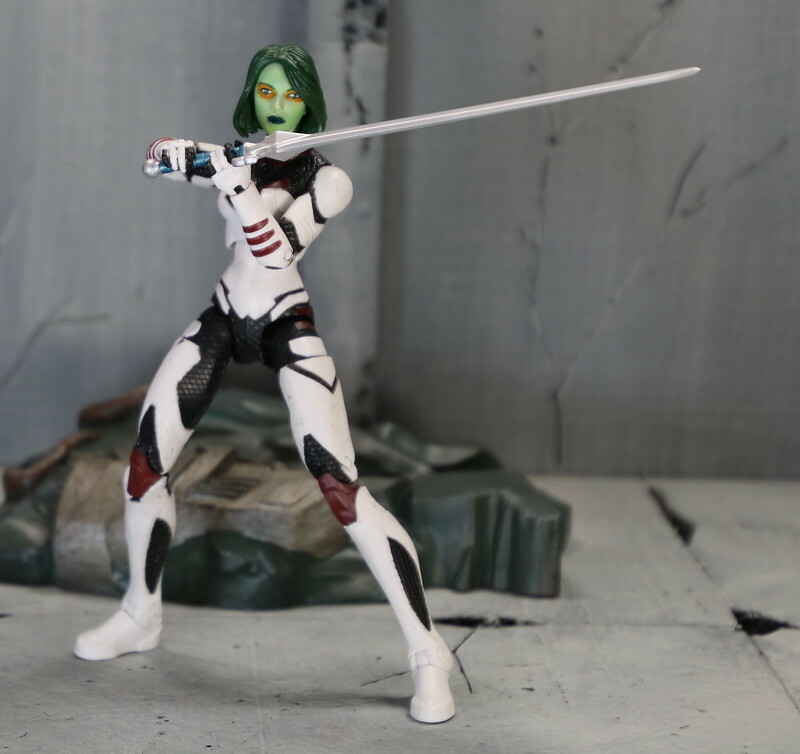 I absolutely love this version of Gamora. I was bummed it was not coming out in any form in the Marvel Legends line, but I was happy that it was coming out in Marvel Select. In the last few years, Marvel Select figures have gotten the full articulation treatment. In the past, they were limited, being over glorified statues. Not any more. 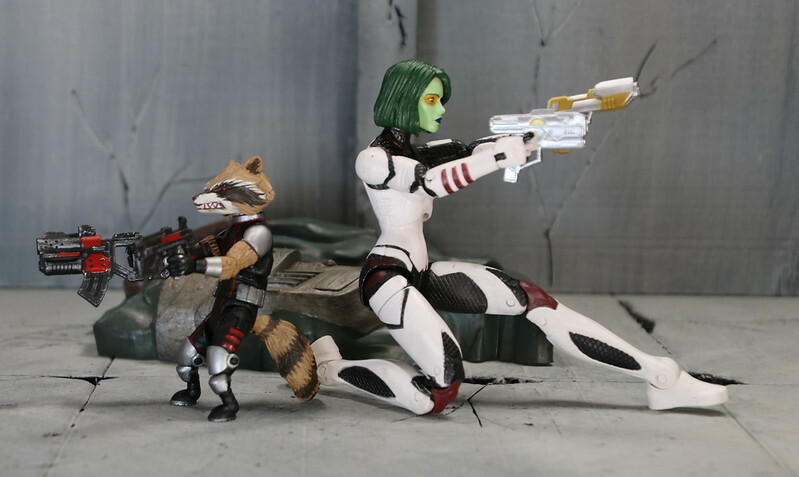 Gamora comes with Rocket in this set. You can also get Star-Lord, Drax, and Groot to fill out this team if you would like. They run a little higher, $24.99 for each figure. There are a lot of accessories. Rocket comes with 4 guns of varying sizes, while Gamora comes with 3 guns, two blades, and 4 additional hads. They also come with a base that can attach to the rest of the team. There is really good movement in both figures. Rocket does well holding both his big and small guns. His tail helps him out a lot. I really like the size comparison of the two. Rocket is small, but very dangerous looking. 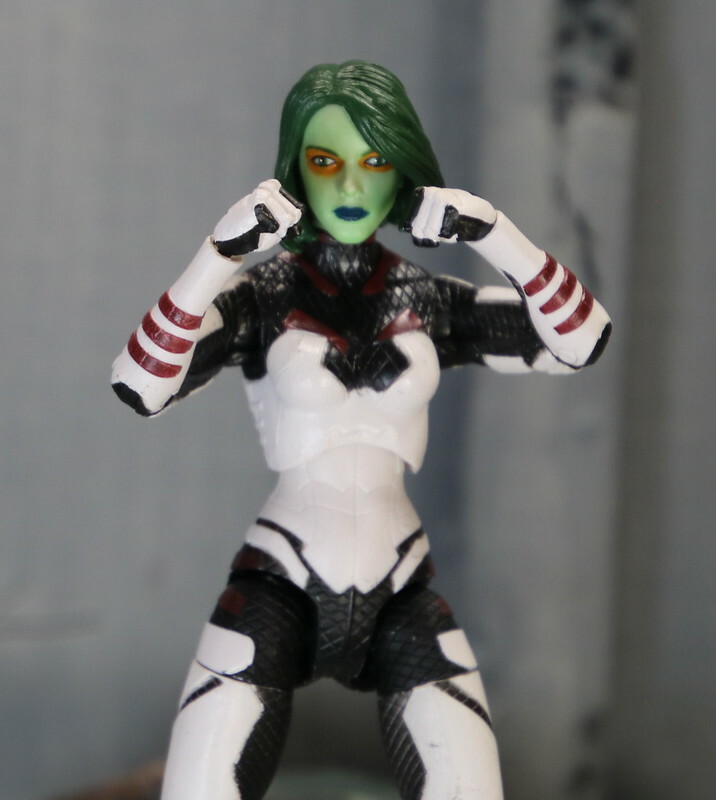 Gamora has great articulation. She is able to hold her rifle with two hands, and can have very dynamic stances. The sword is gigantic. It is long and imposing, just as it should be. Though she comes with so many weapons, she has no way of carrying any of them, which is sad. It would have been nice to have seen a few holsters, or sheaths. Oh well, you don’t want to mess with that fantastic outfit of hers. And when all else fails, she can punch her way out of the situation, which I am sure she has no problem doing. I have assembled my Guardians team. 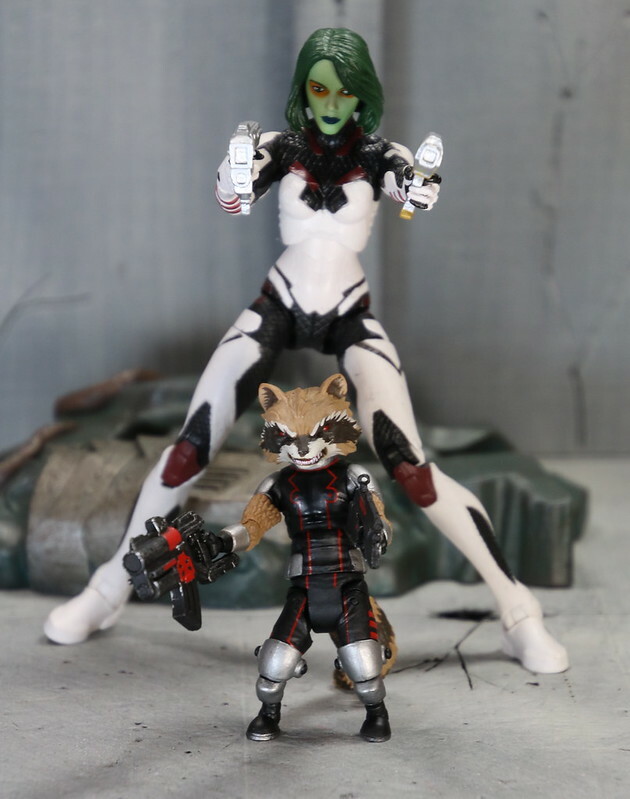 This version of Gamora and Rocket, teamed up with movie Star-Lord and Groot, and comics Drax. That is the team I choose to guard my galaxy.